Top Gear Part Worn Tyres NorthwichQuality Part Worn Tyres Northwich - We are the largest supplier of new and part worn tyres to Northwich. We have up to 30.000 tyres stocked, fully inspected and pressure tested. Top Gear Part Worn Tyres Northwich specialises in nearly new 4×4 High Performance Tyres including sizes 15″, 16″, 17″, 18″, 19″, 20″, 21″, 22″ all in low profiles like 50, 45, 40, 35, 30, 25 and 20 series. Winter Part Worn Tyres Northwich have a special low temperature tread compound and should be fitted to cars when used below 7 degrees centigrade. 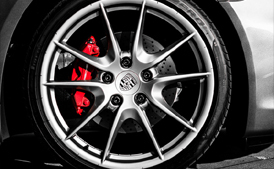 Wheel Alignment Northwich Here at Top Gear Tyres Northwich we have a state of the art 4 Wheel Laser Alignment system to make sure you get the most accurate alignment at a reasonable price in Nortwhich area.